I have been working full-time as a reception teacher in an international school in Italy. I moved over at the end of August and have my own little class of 17 (mostly Italian) children. No, not at all. I went to university to become a teacher, so I am happy that I was able to get a job as one. You would probably expect me to say the language barrier, but it hasn’t been as big a problem as I thought it would be. Often, my children will speak to me in Italian – which I half understand – when they are upset, which is the hardest thing because I can’t fully understand what is wrong. But their English is incredible given most (if not all) only speak Italian at home. The most difficult thing is going home when the caretakers kick you out: you always feel like you have more to do! Everything. I love being a teacher! You can be as creative as you want to help teach your children: I taught a lesson where we went outside on the playground and we drew numbers with chalk, and with water and a paintbrush. My class loved being active and they did some really great work! Try it before you do it. Teaching is not for everyone, by which I mean that it is a line of work only suitable for people who like children; for people who like working with children. Volunteer in a school a few days a week: get a feel for the job. It is not an easy job but it is (in my opinion) by far one of the most rewarding careers you could go into. Studying at Plymouth helped me become so much more independent and adventurous (hence why I am writing this from my apartment in Italy). University, and Plymouth in particular, operates in a ‘give it a go’ atmosphere, and you have to try everything there is on offer to find out what you like. I loved my course because so many of the seminars were active, and we were learning what the children would be learning; so, in P.E. we learnt how to forward roll and in Modern Foreign Languages we learnt all the different songs and rhymes. I also loved the society side of University of Plymouth. There are so many different societies and clubs: there is literally something for everyone – you just have to find it and give it a go. I was chair of Knit Fast Die Warm in my last year and it was so rewarding being part of something that so many other people clearly enjoyed. We volunteered as a society not only at university events but at events such as the Poppy Appeal and knitting blankets for kittens at the local rescue centre. 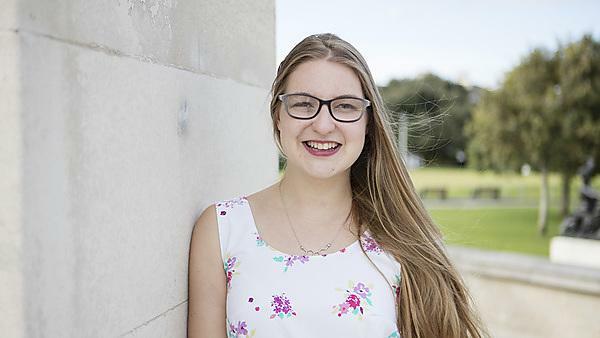 Studying at Plymouth has made me into a well-rounded person because of the opportunities and experiences which are offered there. I have so many great memories of studying at Plymouth: Saturday nights at the, watching First Dates on the sofa, endless pasties in the library, yoga in Drake’s Gardens, attending Society and Volunteering awards, Summer Ball, picnics on the Hoe, making snow in a science seminar... the list is endless. Yes, I still keep in touch with all the teachers in my cohort. The lecturers set up a group on Facebook in the first year and each specialism has a group too. We ask each other questions and cheer each other on during observation weeks. Yes, absolutely. It may rain. It may be far from home. It may be plagued with seagulls. But if that doesn’t make you a strong, independent person, what will? Joking aside, choosing University of Plymouth is something I have never regretted. The Students’ Union and all its services are fantastic and everyone is so friendly. The Primary Education course is also very good: we had lots of placements to prepare ourselves for the real world and the assignments were always interesting. People always say that university is the best time of your life, a thought which can stress many of us out – especially if we are not having the most amazing time and struggling. These three (or four, or however many) years are going to be as good as you let them be. Don’t stress about the fact that you aren’t enjoying life as much as someone else. I only started fully enjoying myself the minute I stopped worrying about everyone else’s supercharged social lives and started doing things which were important to me, and made me feel happy, no matter what other people thought. I chaired the knitting society, lugging around needles and wool. I went to spin at 7:30 twice a week. I joined the Dance Club. And if all this makes you shudder in horror, that’s okay! Because university is about finding out what you enjoy! For more information about studying BEd (Hons) Primary (English), please visit our BEd (Hons) Primary (English) course page. For more information about our range of courses within the Plymouth Institute of Education, please visit the school page.